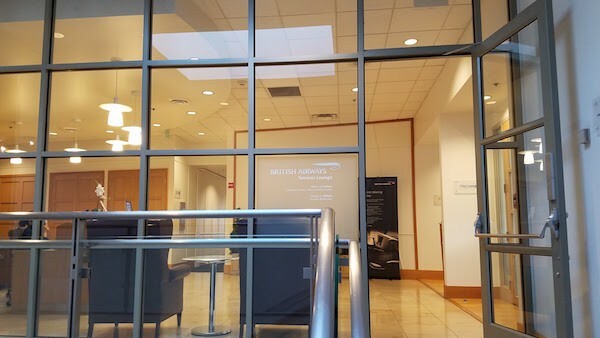 SeaTac Airport (SEA) is my home airport; yet up until last week I had never visited the British Airways Terraces Lounge Seattle. 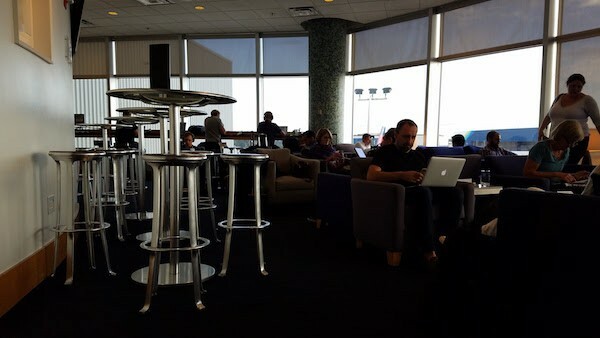 Located in the South Satellite above Gate S10, the lounge can get quite busy prior to departure. 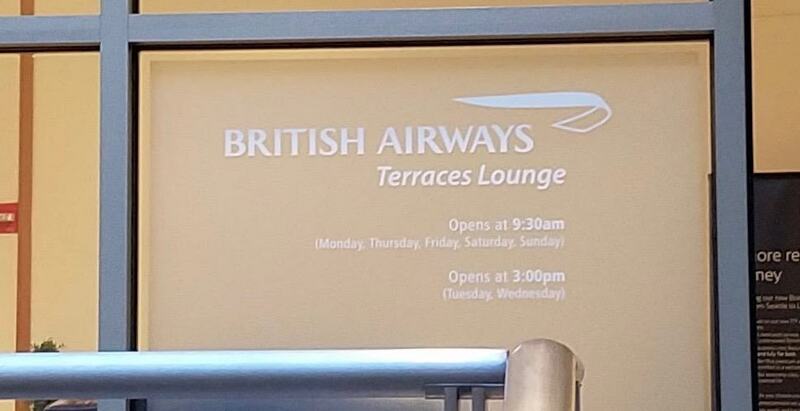 The website lists opening times as “15:00 to last departure”, however on days that a second SEA-LHR flight is scheduled the British Airways Terraces Lounge Seattle opens at 9:00. 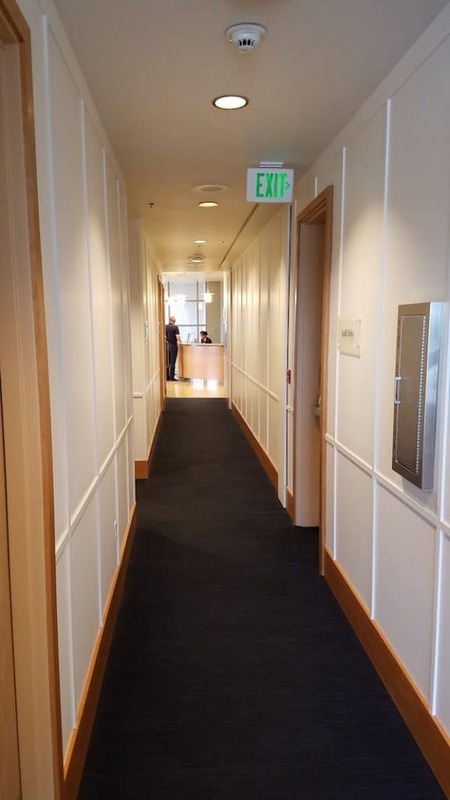 There is a First Class room in the lounge as well, but my understanding is that it isn’t much different from the main area. 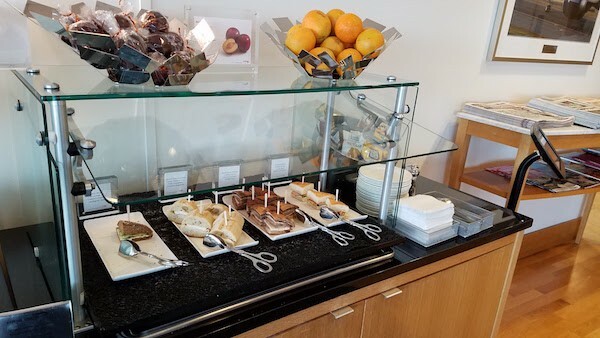 Lounge access is granted to passengers flying Club World or First or those with oneworld Sapphire or Emerald status flying on a oneworld ticket. The lounge is quite small and was crowded during my visit. Most of the arm chairs were taken. The view is across the roof of the terminal but it does allow some natural light in. 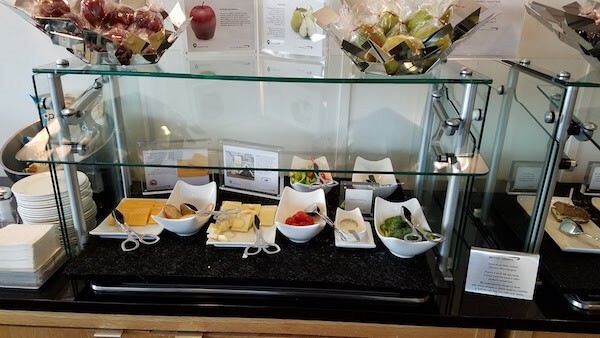 The food is limited to some small sandwiches, fruit, cheese and crackers, cookies, candy an soup. 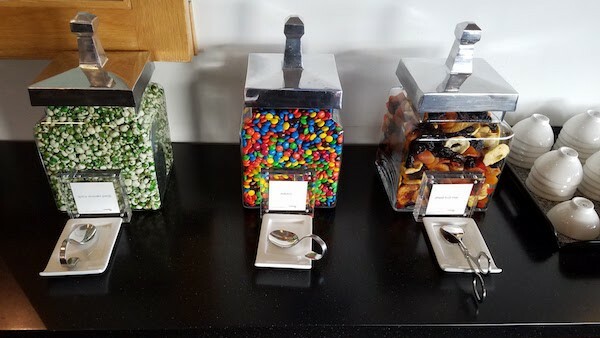 More of snack food then a full meal. 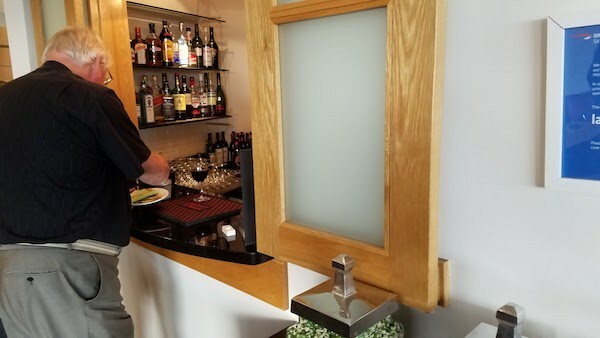 In addition to self serve coffee, juice an soda, there is a full service “bar”. It is about the size of a closet. There is a small business center with computers to use. Wifi is of course available as well. 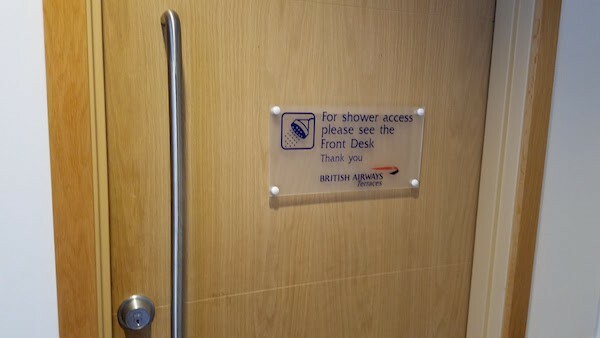 There is a shower available — at this point I believe it is the only lounge with a shower at SEA. 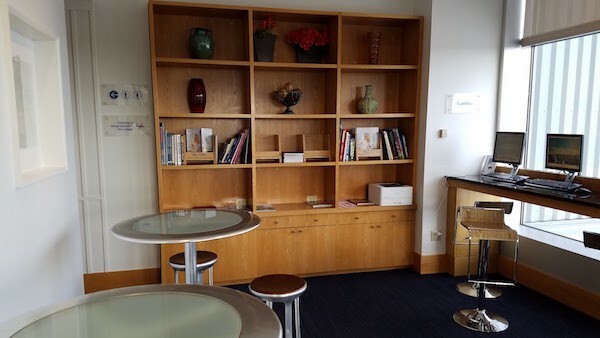 The decor of the British Airways Terraces Lounge Seattle seems late 1990’s New England decor, which was a bit puzzling. It didn’t make me think of London or Seattle. 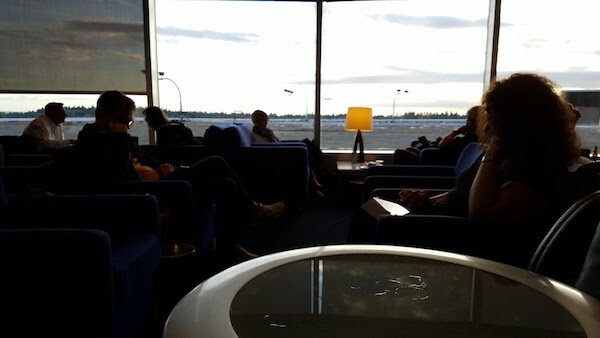 It is a pretty generic lounge that I wouldn’t go out of my way to visit. With that said, if you want a drink before your flight you can get one here if you don’t mind a crowd. Good morning, on Tuesday May 21 on flight # 48 my wife and myself will be flying to Heathrow Airport. will be in Business class. What will it cost us to use the Terrace lounge? we’ll be returning on June 9th to Seattle and we’ll then be in First class. I believe we will be departing out of terminal 5, is the a Terrace lounge there and what will that cost us. 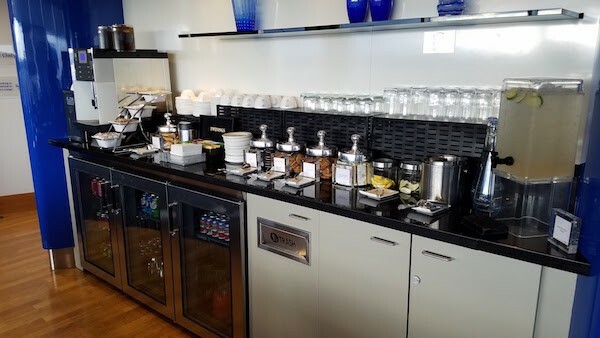 When flying in Business Class (Club World), you will have free access to the Terrace Lounge in Seattle. 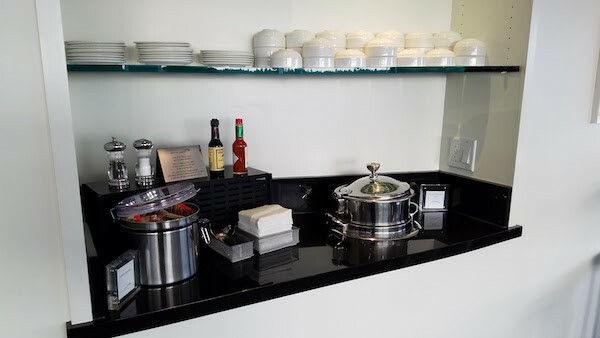 On the way back, when flying First Class you should have access to the Concord Room (First Class Lounge) at LHR T5 for free.